Thank you to everyone who participated today in our 2018 Senior Mixed Open. In 2018 Blyth GC will begin a partnership agreement with Richmond (Yorks) Golf Club which will allow members of each club to play the other course free of charge. More details will be published soon. To find out more, call Lesley Russell Golf Administrator on 01670 540110 Ext 5 or click here. 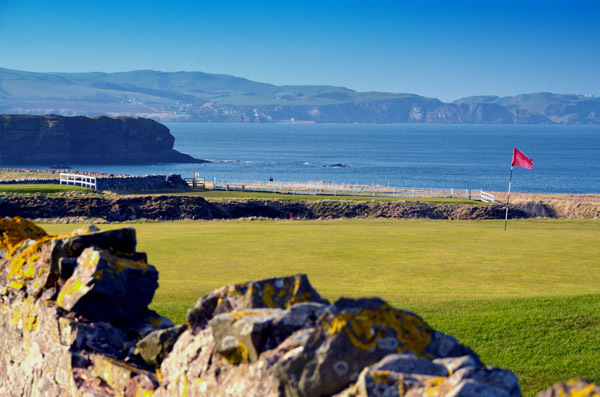 Eyemouth Golf Club in Berwickshire (Scotland) and Blyth Golf Club in Northumberland (England) are partnered to allow discounted golf for their members. Membership of either club will automatically entitle golfers to have play at the other Club for the guest 'sign-in' fee. The two clubs offer an entirely different golfing experience with Eyemouth Golf Club being a cliff top links course and Blyth Golf Club being a mature parkland course.